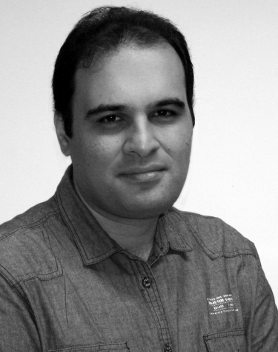 Mahdi is a PhD student in the MMRRC at the University of Limerick. Mahdi is working on a project investigating the ground station for offshore pumping mode AWE system energy farm. The power take off methods will be analysed and an optimal solution chosen to enable power integration of AWE farms (with non-reversing machines) in compliance with transmission and distribution system operator grid codes. The project is supported by Science Foundation Ireland under the MaREI Centre research program [Grant No. SFI/12/RC/2302] and through the support of the European Commission under the H2020 Marie Skłodowska-Curie action: ITN AWESCO [Reference No. 642682]. Mahdi received the B.Sc. degree in electrical engineering from Islamic Azad University, Bojnord branch, Iran, in 2007 and the M.Sc. degree from Islamic Azad University, Najaf Abad branch, in 2009. He was teaching at the Khorasan Scientific and Industrial college of Applied Science and Technology University, Mashhad, Iran from Sep.2008- Sep 2014. Further information can be found on Mahdi’s UL Research Profile.